There’s more than one good reason to stay at the Relais Saint-Germain when in Paris. 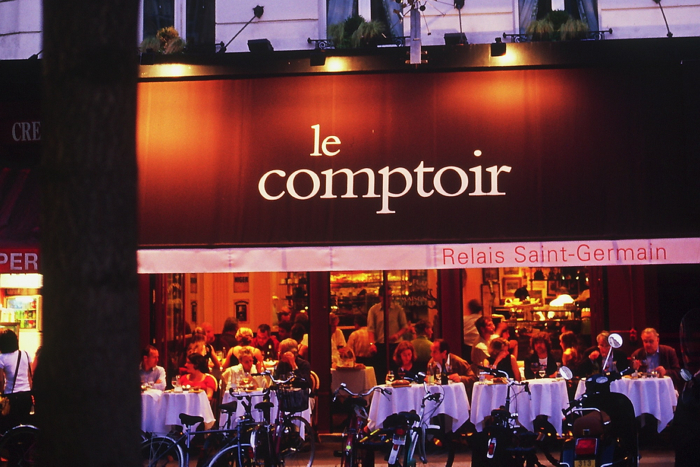 But the first one is unbeatable: If you’re a guest of the hotel you get a table at the Comptoir restaurant for sure – which is a thing Parisians have to wait for 8 months for – at least. And I’m not even exaggerating. Regardless of the fact that Le Relais Saint Germain has become the headquarters of the international foodie scene, let’s talk about the quality of the hotel. 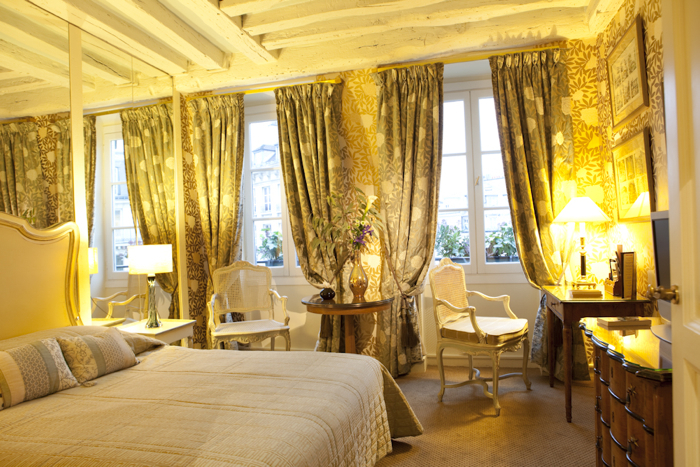 The Relais Saint Germain is a 22-room boutique hotel spread over three buildings in the very heart of Saint-Germain. The location is perfect, the atmosphere cosy and, believe me, the service will be outstanding. Imagine, the effort they’re making in the hotel is on a par with what Mister Camdeborde is doing in the kitchen. Camdeborde’s wife, Claudine, decorated each room differently herself. But there’s one thing common to all of them: You feel at home immediately. Most of the rooms are extremely spacious compared to other hotels in Paris of the same category. Two of them have a terrace. Some exude a Chateau-like atmosphere. Single rooms start at 220 €, doubles at 285.- €, 320.- € for a twin and 370.- € for a deluxe room. 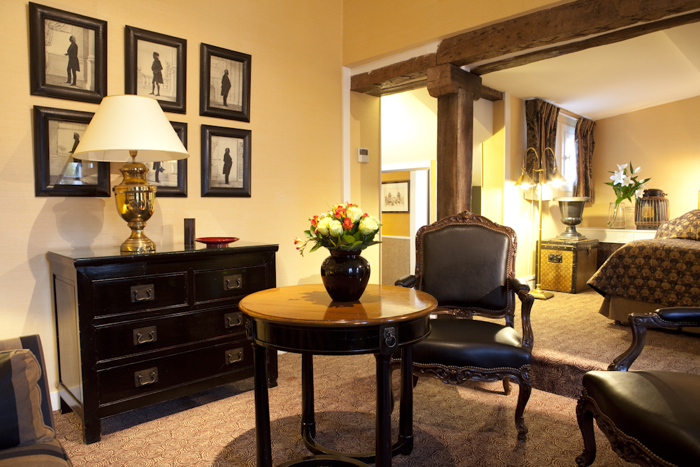 The room that most people ask for is number 44, the suite called Alexandre Dumas (395.-€). And indeed, the decoration of this 40 square metre suite, inspired by Asian themes, is beautiful. A lot of people also ask for the suite with terrace (number 58, 440.-€). No wonder: in summer, you can enjoy a glass of wine looking down on the charming streets of Saint-Germain. 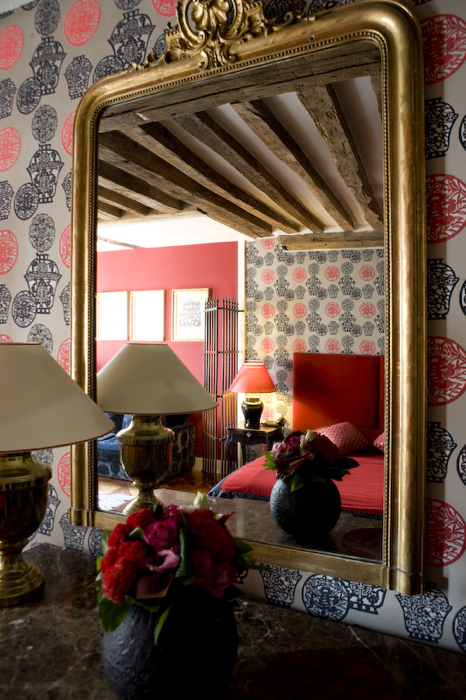 If a cosy atmosphere is not your cup of tea though, the Relais Saint-Germain will definitely not be for you. It’s not the kind of hotel where you desperately look for the switch before you discover that it is so beautifully designed that you hardly can see it. If you’re instead looking for an intimate atmosphere with the service of a luxury hotel, you’ll be more than happy. You’d better book a long time in advance.